How do you feel about how the series has gone so far from a creative aspect for you and in terms of working with Bryan? How has fan reaction been and if there is one thing about the reaction you could change what would it be? What has been the most fun thing about writing the new series so far? Pulling in classic era’s of the past? Adding new mythos? Anything you can tell us about Kryptonian Hawkman? How about the idea of Macey? Was that an idea you had early on or something that happened organically? 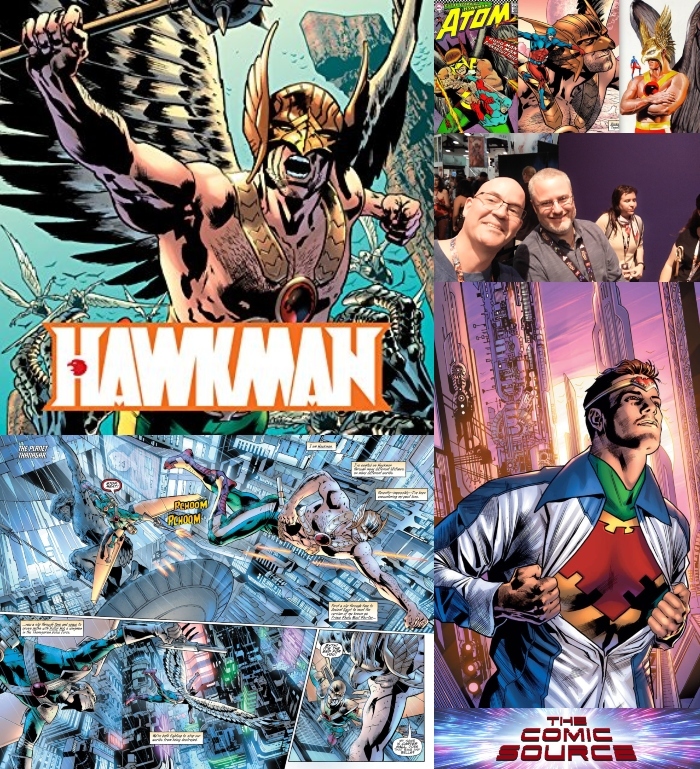 Any favorite classic Hawkman moments you have come across in your research? There are a few classic Hawkman villains and we have yet to see any of them, plans for any to show up at some point? Do you have a favorite Hawkman villain? Do you prefer to play with classic villains or create your own? We have to ask about Hawkgirl as well, as she is such an integral part of the mythos, I imagine she will show up at some point.